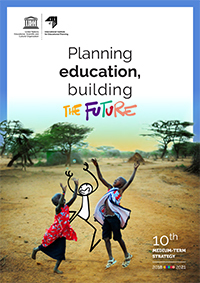 Over the next four years, it will guide us in supporting Member States in the planning and monitoring of more effective education systems and ensuring that new knowledge is accessible and used by policy-makers and stakeholders. Our new strategy also reflects the many obstacles currently preventing millions of children from exercising their right to a quality education. As a result, our strategy embraces these five pillars: social inequalities, learning outcomes, education system resilience, governance and accountability and education financing.